Science itself is simply a body of knowledge and a process of adding to and curating this knowledge.4 Given the greater specialization5 and publication volumes6 across scientific journals in recent years, the difficulty of pulling together a field’s ideas can be a barrier to both individual research projects and cross-field communication7 and, therefore, to the scientific process itself. Thus, any method to foster more effective scientific communication does more than ease the reading burden of researchers; it also enhances mutual understanding across disciplines and creates more effective teaching tools for future students.7 Improving the comprehensibility and accessibility of journal publications can also assist in promoting scientific literacy and encouraging diverse feedback to scientific findings. Due to the importance of disseminating replicable, trustworthy, and high-impact research, multiple governmental organizations and scientific initiatives have promoted the creation of tools to improve data sharing8 and methodological transparency.9,10 As neuroethics sits at the confluence of technological advancement, social impact, philosophy, and policy, our field could serve a unique role in the greater movement toward better science communication. 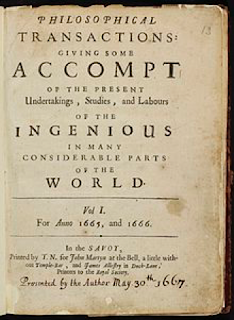 the Philosophical Transactions of the Royal Society. Neuroethicists fill in the gap between neuroscientific innovation and society. In order to effectively adjudicate the interaction of novel tools with human value systems, we must ensure the facts and values that are used in neuroethical decision-making are transparent and representative of the fields and communities these decisions will affect. The interdisciplinary nature of neuroethics makes it all the more vital to curate and present scientific findings and value-based recommendations in a manner that is accessible to neuroethics’ diverse audiences. Thus, an inherent task of neuroethicists is to curate empirical evidence of technological capabilities and offer interpretations in the context of normative frameworks. While neuroethics articles tend to do so in the microcosm of single articles answering specific questions, little attention has been paid to the methods with which neuroethicists bring together large bodies of evidence and conclusions from across a range of research questions. A cohesive combination of the heterogenous and scattered evidence and recommendations into a single interface would make it easier for researchers, policy-makers, and the public to learn and discuss the implications of neuroethics research questions. 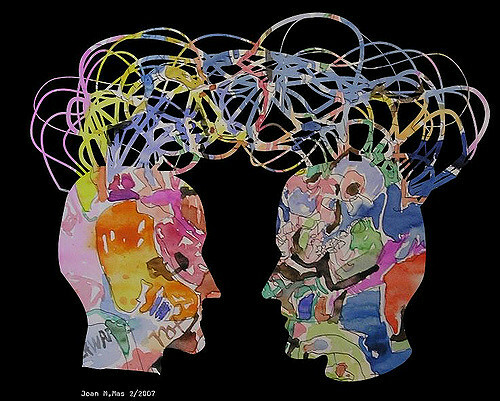 Improving literature review methods, then, also improves the social understanding and interdisciplinary communication that is a foundational value of neuroethics. Did the Communication Revolution leave Neuroethics behind? 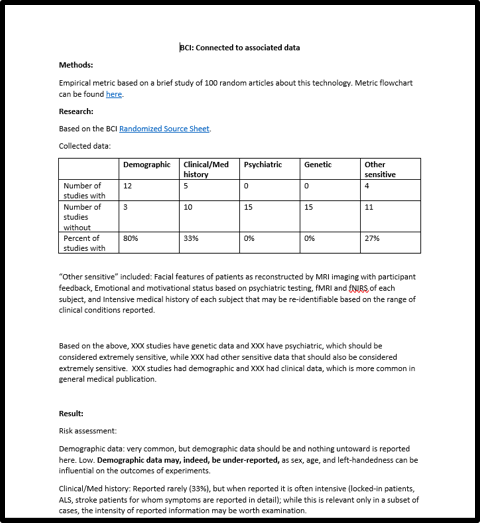 Aspects of this question have been brought up by the Data Informatics Working Group and the Common Data Elements Project at the NIH with regards to scientific communication,13,14 which both call for data harmonization and visualization efforts as part of the general digital health revolution. Despite the close link between scientific research and invention, technological solutions have been largely absent from scientific (or neuroethical) publication.15 Other fields, ranging from financial analytics16 to legal research,17 have created interactive databases and data visualizations that increase the speed and consistency of information transfer,18 while enabling efficient searching through improved structure and search algorithms. For a field that is extraordinarily communication-focused in the promotion of both patient autonomy and evidence-based medicine,19 neuroethics (as well as bioethics in general) has a surprising blind spot for the methods of communication. According to the Georgetown University Biography of Bioethics, “The literature of bioethics appears in widely strewn sources and is reported in various indexes which employ a bewildering variety of subject headings.”20 Furthermore, empirical research in neuroethics is methodologically inconsistent and is generally disconnected from the normative frameworks and policy decisions that these crucial experiments are meant to support.21 Why, then, is the task of communicating vital scientific findings or neuroethical ideas with the wider public relegated to static PDFs that take months to publish and lack any cross-field systems for organizing scattered and heterogeneous data inputs? Though the current methods of systematic review in neuroethics are insufficient for the needs of the community, these systems could be improved with tools to collect, organize, and present all relevant research on a given ethics topic. The main goals of such an undertaking should be to allow as wide a range of audiences to examine as many related, relevant neuroethical research questions as possible, while minimizing communication friction and maximizing transparency. Such a tool could combine evidence presentation with recommendations, as interpretation of wide-ranging evidence and difficult ethical questions is central to the role of neuroethicists. This is not an effort that should be undertaken lightly, as any curated body of research has the risk of introducing bias if used to make normative decisions. Therefore, optimal literature reviews would be updatable (to address oversights or novel contributions to the literature) and enable feedback and iterative redesign to ensure that it serves the needs of these diverse audiences. (b) a one-sentence summary of the research outcomes. 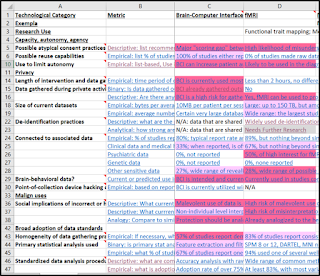 the research processes and conclusions for each cell. In a project completed during a BRAIN Initiative internship in summer 2018, I tried to take this effort head-on. I identified data privacy as a major subfield of neuroethics for which the technological capabilities of novel neuromodulation and neuroimaging devices were extraordinarily relevant, and for which there were many pressing and complex questions (ranging from how invasive the devices were on patient autonomy to the social implications of misinterpreting neuroimaging data). My results were recently published as an AJOB-Neuroscience abstract.24 I created a literature review tool (the Neurotechnology Heat Map) with a central hub (Figure 4) from which users could directly access a short literature review consisting a compilation of data with a short textual summary (Figure 5), as well as access to each underlying study and its main outcomes (Figure 6) through simple hyperlinks. While the access to articles provided through these compilations may be limited by journals’ pay walls, the summary page provides the main points across a range of articles to maximize the amount of information communicated within the Heat Map. This presentation method allows for transparency of the research process and the ability to examine a range of research questions across different technologies. My very narrow focus on neuroethics-related privacy concerns surrounding different neurotechnologies could be expanded far beyond this proof of concept. Neuroethicists could leverage simple technological capabilities to create durable organizational structures for literature review and present them visually in order to maximize the flow of information. The tool also allows for analysis of the focuses of neuroethical publication by determining the quantity of publications discussing specific neurotechnologies. This method also allows for identification of research areas that have been left unexamined by neuroethicists thus far. data of the underlying study. My methodology is not inherently limited to examining neurotechnologies and their privacy implications, and I believe that expanding tools that present comprehensive reviews of the neuroethics literature on a topic-by-topic basis could allow more rapid and cohesive scholarly engagement. The technological capabilities to scale up tools such as this are already in existence. In fact, data analysis, organization, and presentation are fields in which computers offer a major advantage when compared to humans.25 In order to make the methods of scientific and neuroethics communication consistent with the missions of both fields, it is paramount to promote the democratization of knowledge, transparency, and effective communication. The effective implementation of neuroethicists’ research and the promulgation of lifesaving discoveries and therapeutic evaluations depend on this mission. The benefits of careful organization and infrastructural creation in these fields will continue to pay dividends so long as publication remains the means of scientific communication. based on a random sample of studies using that technology. Toward this effort, I am continuing my development of tools for research curation and presentation. More sophisticated digital curation methods could improve the Heat Map and promote greater transparency, research amalgamation, and interpretation across diverse bioethical and scientific fields. Early prototypes of more clinically-focused literature review systems can be found at here as a representation of a type of system which could help improve communication and organization in scientific research. I hope that the neuroethics community at large recognizes the potential benefit from better research organization, can expand improved methods to a range of diverse fields, and continue the mission of democratizing scientific knowledge. 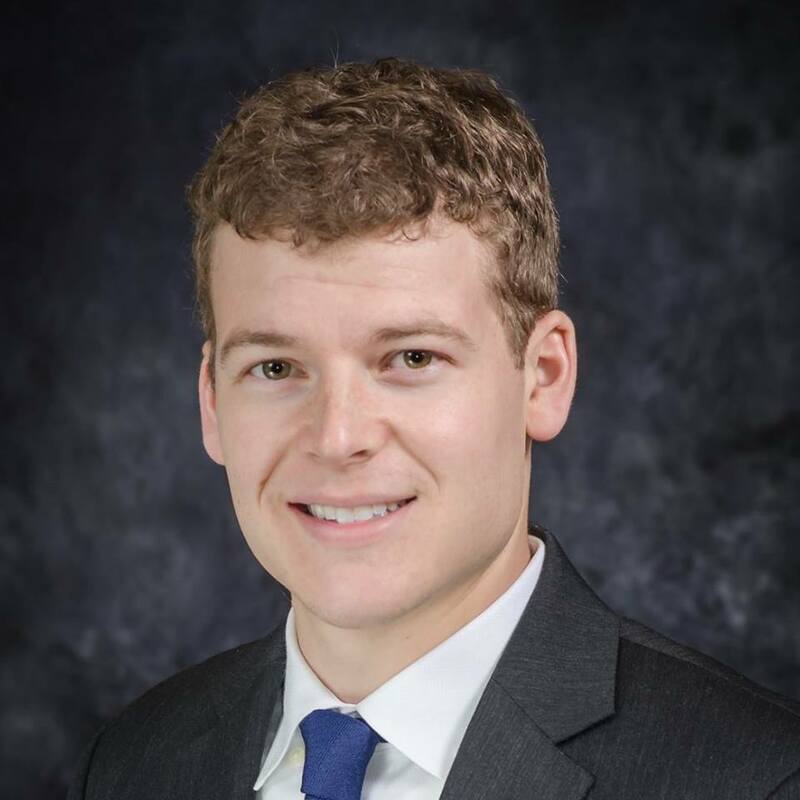 Kevin Kallmes is a student at Duke Law School and is also completing a concurrent Masters in Bioethics and Science Policy. His research interests center around the methods of medical publishing and effective scientific communication, though he also contributes to projects concerning public perception of novel technologies. He is the founder and President of Superior Medical Experts, a research support company focused on neurosurgical clinical studies and device development. 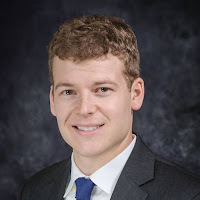 He has also recently founded Nested Knowledge, a company dedicated to developing research support software to improve physician communication about vital questions in patient care. Oldenburg, H. (1665). 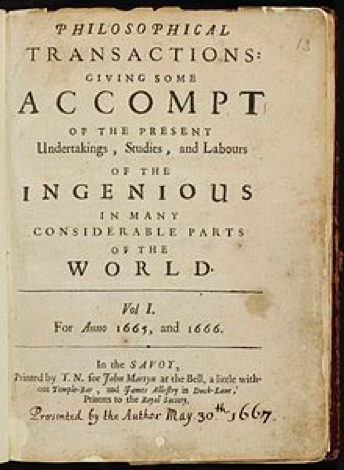 Philosophical Transactions: giving some accompt of the present undertakings, studies, and labours of the ingenious in many considerable parts of the world. Philosophical Transactions of the Royal Society, 1. Van Noorden, R. (2014). Global scientific output doubles every nine years. nature.com Blogs. Pain, E. (2016). How to keep up with the scientific literature. Science. Harmon, J. & Alan, G. (2007). The Scientific Literature: A Guided Tour (1-34). Chicago, IL: University of Chicago Press. Malone T., Laubacher R., & Johns, T. (2011). The Big Idea: The Age of Hyperspecialization. Boston, MA: Harvard Business Review. Roy, S. (2017). Publication explosion and ethics: A cause of concern. Indian Journal of Health Sciences and Biomedical Research, 10(2), 101-103. Feliú-Mójer, M. (2015). Effective Communication, Better Science. Scientific American. Arzberger, P., Schroeder, P., Beaulieu, A., et al. (2004). An International Framework to Promote Access to Data. Science, 303(5665), 1777-1778. Foster, E. & Deardorff, A. (2017). Open Science Framework (OSF). Journal of the Medical Library Association, 105(2). Montgomery, P., Grant, S., Mayo-Wilson, E., et al. (2018). Reporting randomised trials of social and psychological interventions: the CONSORT-SPI 2018 Extension. Trials, 19(1), 407. Lombera, S. & Illes, J. (2009). 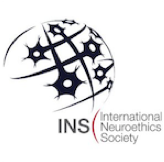 The international dimensions of neuroethics. Developing world bioethics, 9(2), 57-64. Robillard, J. M. & Illes, J. (2011). Lost in translation: neuroscience and the public. Nature Reviews Neuroscience, 12, 118. DeMets, D. & Tabak, L. (2012). Advisory Committee to the Director Data and Informatics Working Group. National Institutes of Health. NIH. (2018). NINDS Common Data Elements. https://www.commondataelements.ninds.nih.gov/#page=Default. Clarke, M. (2010). Why Hasn’t Scientific Publishing Been Disrupted Already? The Scholarly Kitchen Society for Scholarly Publishing. Spatz, M., Nussbaum, E. S., Lyons, L., Greenberg, S., Kallmes, K. M., Nussbaum, L. A. (2018). Primary intracranial angiomatoid fibrous histiocytoma: a case report and literature review. British journal of neurosurgery, 1-3. Nussbaum, E. S., Madison, M. T., Goddard, J. K., Lassig, J. P., Kallmes, K. M., Nussbaum, L. A. (2018). Microsurgical treatment of unruptured middle cerebral artery aneurysms: a large, contemporary experience. Journal of neurosurgery, 1-7. Trafton A. (2014). In the blink of an eye. http://news.mit.edu/2014/in-the-blink-of-an-eye-0116. Kirkscey, R. (2018). Bioethical communication: shared decision-making and relational empathy. Journal of Communication in Healthcare, 11(3), 164-174. Jones, J., Liang, C. W., Ramezan-Arab, N., Duckwiler, G., & Tateshima, S. (2018). Nature's Wastebasket: The Role of the External Carotid Artery in Acute Stroke. Journal of neurointerventional surgery. Wangmo, T. & Provoost, V. (2017). The use of empirical research in bioethics: a survey of researchers in twelve European countries. BMC Med Ethics, 18(1), 79. Gauch, H. (2003) Scientific Method in Practice. 1st ed. Cornell University, New York: Cambridge University Press. Sanan, N. (2017). Simplifying The Fourth Industrial Revolution: Data Science, IoE & AI. Forbes. Kallmes, K. & Ramos, K. (2018). 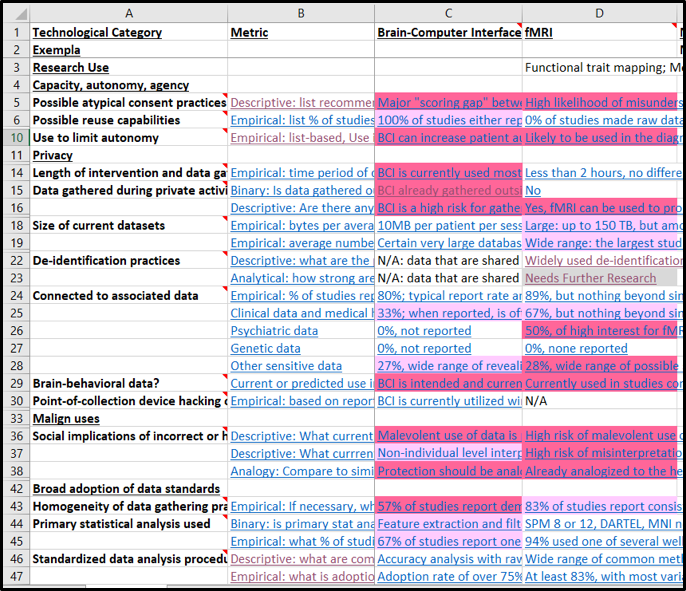 Data Sharing and Privacy Heat Map: an interactive tool data-driven risk assessments of neurotechnologies. AJOB Neuroscience. Heingartner, D. (2006). Maybe We Should Leave That Up to the Computer. Technology. https://www.nytimes.com/2006/07/18/technology/18model.html.